Channeled Angel Messages on CD! 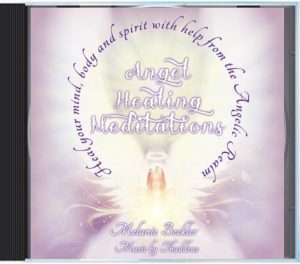 Experience the uplifting love and light of the angel messages and meditations as channeled by Melanie Beckler, now available on CD! Listening to the messages of the angels on CD is a simple and powerful way to connect with your angels. Simply click the links below to order an Angel CD. We ship internationally. Archangel Metatron is a Divine record keeper and a powerful spiritual teacher of Divine love and light. Metatron offers powerful energy clearing to help you raise your vibration so you can experience more love and joy in your life. 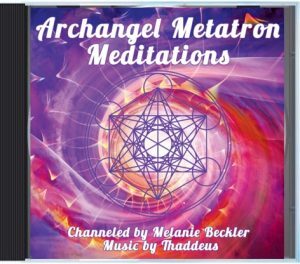 Click here to purchase the Archangel Metatron CD! Or Click Here to Learn More or Get the Digital Downloads! Connect with the incredible healing love of the angels… Simply relax and listen as you are guided by the angels to cleanse and uplift your energy, heal your mind, body, and spirit, and directly link with the healing light and love of the angelic realm. Click here to purchase the Angel Healing Meditations CD! Or Click Here to Learn More or Get the Digital Downloads! Archangel Michael is the Archangel of Protection, Strength, and he serves with an incredible frequency of Love. 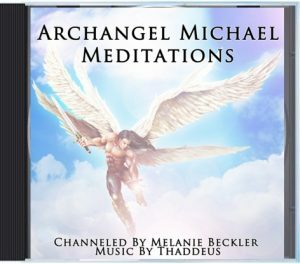 When you relax and listen to each of the uplifting meditations on this CD you will experience the presence, guidance, and blessings of Archangel Michael as channeled by Melanie Beckler. Click here to purchase the Archangel Michael CD! Or Click Here to Learn More or Get the Digital Downloads! The channeled angel messages on this uplifting CD will guide to you elevate your energy, cleanse your aura and activate your light body now! Your Light Body is a is a higher vibrational aspect of your Aura that can assist you in linking with the Divine and manifesting more joy, love, and abundance into your experience. 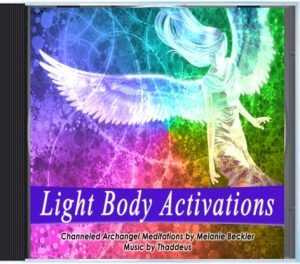 Click here to purchase the Light Body Activation CD! Or Click Here to Learn More or Get the Digital Downloads! Connect with the love and guidance of Archangel Metatron and Archangel Uriel in this CD of angel meditations perfect for spring! Spring is a time of new beginnings, budding flowers, new growth, and outward expression. Spring is a creative time and a time for renewal. It is a fertile time for the Earth, and for you to plant the seeds of new goals and creative projects. Click here to purchase the Spring Meditations CD Or Click Here to Learn More! This CD is not channeled angel messages, rather it is consists soley of Isochronic Tones for Healing. Isochronic Tones are special sound frequencies used to stimulate your brain. Simply relax and listen to bring your brainwaves into a specific frequecy so you can promote healing, relaxation, spiritual development, and to expand your consciousness. 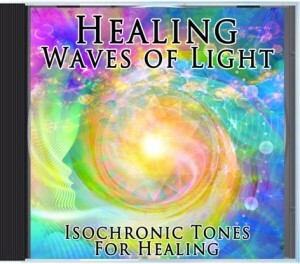 Click here to purchase the Healing Waves of Light CD!